It is critical to control banks so they can’t lend for speculation. I have been following the twitter discussion of Jesse Colombo's Forbes article on why the New Zealand economy will crash. I realised I hadn't ever posted our submission made in November last year to the Finance and Expenditure Committee. The petition has never been heard. Must be gathering dust on some shelf somewhere. They have more important things to do no doubt than worry about the banks increasing exposure to derivatives and the increasing globalisation of the investment banks. Looks as though the big four Australian banks these days have directors from HSBC, JP Morgan, Citibank and so on. To say they are Australian banks is no longer accurate. Thank you for the opportunity to present my submission. I wish to appear before your committee in a session open to the public. We respectfully request that the House initiate a Parliamentary Enquiry into the best options for securing the ongoing stability of NZ registered banks to ensure they never need to be bailed out by their customers or NZ taxpayers. We also request this enquiry should include:- 1. An examination of The Chicago Plan Revisited by Jaromir Benes and Michael Kumhof on the IMF’s website. 2. The ways New Zealand can initiate or support this important reform. Who I am My name is Deirdre Kent, from Otaki. I have a BSc in mathematics and have been a secondary school teacher and full time campaigner for tobacco control. I have been a Tauranga city councillor and for many years a community activist for a strong, resilient economy. I am the co-founder and co-leader of the New Economics Party of New Zealand. I am the author of the 2005 book Healthy Money Healthy Planet –Developing Sustainability through New Money Systems. I was a co-founder in an organisation called NZ Banking Reform which operated in Wellington around 2000 to 2002. 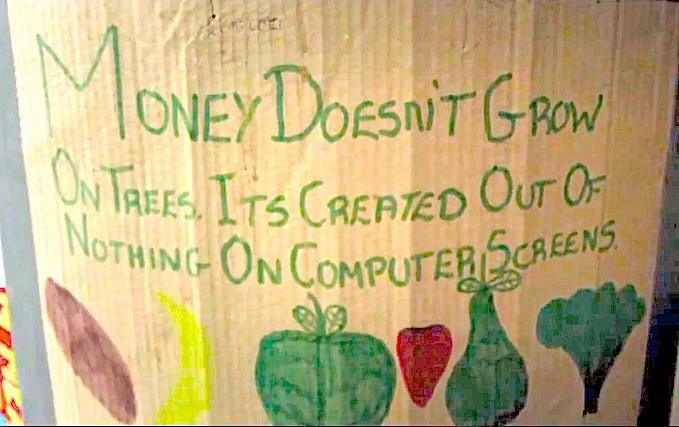 I was a founding trustee of Living Economies Educational Trust. I represent 190 people from the New Economics Party, together with a further 200 on our Facebook page and a further 107 on our Facebook petition page. 1.0 Summary of this submission We are asking for a Parliamentary Enquiry on the best way to make banks stable because it appears we have to choose between a government bailout and depositor bailout and neither is acceptable. If banks are so unstable as to have the Reserve Bank set up a system where depositors bail out the banks, then it is high time for a concerted effort to make banks more stable in the first place. A full enquiry is the way to draw out all the relevant information on banking stability in New Zealand. New Zealand has watched a series of distressing economic crises in the Eurozone and USA and witnessed a range of fraudulent behaviour from banks. It appears that the central bankers of the world are themselves gravely concerned about the stability of the current financial system. We know we live in a hyperconnected world but are collectively unable to do anything about the lack of effective regulation of the big four US investment banks. We know that there are three bank lobbyists for every elected member in the US Congress and the banks’ campaign contributions are very high. Hence the plea to do what we can in New Zealand in the time available. It is time to take stock and better insulate our economy from the shocks in the global financial system. Given the risk of another major financial crisis when the triple threat of worldwide housing bubbles, commodity bubbles and derivatives bubbles eventually burst, we believe it urgent to set aside Parliamentary time and resources and engage the public in an exploration of how we can make New Zealand banks safer. In the Global Financial Crisis of 2008 our government had to act very quickly to guarantee our bank deposits, but the scheme has now finished. The last thing New Zealand needs is for chaos to break out when depositors discover they are having their money confiscated. I also point out that housing bubbles are all occurring within the context of a tax system that taxes income but not land. So there is a connection to the tax system. 2.0 Many have lost a great deal of faith in the economics profession after the Global Financial Crisis. 2.1 As lay people, we have been told that our banks are safe yet we have observed a massive Global Financial Crisis which mainstream economists had not predicted. We saw the too-big-to-fail banks getting even bigger and nobody go to jail for fraud. With all these adverse financial events happening we have lost faith in economists. While we appreciate the work of the Reserve Bank of New Zealand to keep our banks safe, we believe they have underestimated the public outcry and the potential of the public to make a contribution. We have all witnessed the invention of a wide range of new financial products and a blow out of credit the world has never seen before. We can all see that the ‘shadow economy’ is $700 trillion while the global economy is $70 trillion and we are worried. 2.3 It is clear it is not financially viable for the taxpayers to bail out the banks ever again. Also according to President Obama in his remarks on the Dodd-Frank Act on July 15, 2010, “Because of this reform, . . . there will be no more taxpayer funded bailouts – period.” But the arrival of a bail-in proposal, where depositors have their deposits confiscated to help the failing bank, brings with it serious consequences. Financial crises are socially and politically dangerous events and can happen within a very short timespan. We now know that martial law was being considered in UK during 2008. But perhaps bail-ins and martial law should really be seen as the last desperate thrashings of a dinosaur. It is time to get banks less vulnerable in the first place. 2.4. One cannot help come to the conclusion that the financial system, especially after the spawning of a range of exotic innovative financial “products”, is inherently unstable. It was derivatives after all that were at the heart of the Global Financial Crisis of 2008 and, despite some regulation, yet the same financial asset bubbles are redeveloping as a symptom of growing private debt as before the crisis. As long as excess money is going into real estate or other bubbles, it will not be going into productive enterprises. 2.5 Most people are completely surprised by financial crises. People in Iceland, Cyprus or Thailand can wake up and find the banks closed, ATM machines not working and their relations stuck overseas unable to get home. Investors suddenly find they are worth less. Shortly after the Global Financial Crisis, the Queen of England asked bankers why nobody saw it coming. 2.6 Since only a handful of economists actually predicted the Global Financial Crisis it is not surprising that the public is losing faith in economists. Dutch economist Dr Dirk Bezemer researched those who did and found Dean Baker, Wynne Godley, Fred Harrison (UK), Michael Hudson, Eric Janszen, Steve Keen (Australia), Jakob Madsen & Jens Kjaer Sørensen (Denmark), Kurt Richebächer, Nouriel Roubini, Peter Schiff and Robert Shiller. Subsequently Bezemer had the list at three dozen, but out of a total profession of at least 20,000 it is a very poor record. If any other profession (e.g medicine) was so wrong in something that affected millions they would be sued. The universities who train economists should be ashamed of themselves to have such a poor record. Economists in the Real World Economics Review 2010, voted for Australian Professor Steve Keen first, ahead of Professor Nouriel Roubini by a 2 to 1 margin for their Revere Award. 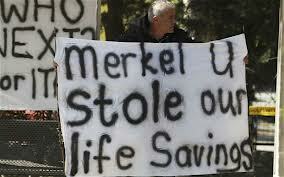 This is for the economist who best foresaw the crisis and warned and gave a full explanation. So it is not surprising that Steve Keen’s analysis, based on the work of Hyman Minsky and including the use of dynamic modelling to prove how growth in debt drives instability in economic cycles, is gradually becoming more mainstream. Minsky claimed that in prosperous times, when corporate cash flow rises beyond what is needed to pay off debt, a speculative euphoria develops, and soon thereafter debts exceed what borrowers can pay off from their incoming revenues, which in turn produces a financial crisis. He said we moved from a hedging stage where risk is low to a speculative stage and finally to a Ponzi stage. Minsky said a key indicator was the growth of private debt as a fraction of GDP, but when I ask I can’t find this graph on the Reserve Bank site. The “Bezemer 11” quoted above had in common that they were concerned with the distinction between the financial economy (making money from money) and the real economy. Keen wrote in 2009 “Unfortunately after the crisis everything is being done by policy makers around the world is instead trying to restart private borrowing.” Wikipedia notes that Minsky's theories have enjoyed some popularity, but have had little influence in mainstream economics or in central bank policy. Regulators like Brooksley Born (head of US Commodity Futures Trading Commission) warned that derivatives trading needs stronger regulation and when her concerns were dismissed she resigned. In his book Bailout, Neil Barosky, regulator of TARP warned that the big banks must be broken up. Although the official figure for notional derivatives contracts from the Bank of International Settlements was $633 trillion as at December 2012, it may be larger still. According to one of the world’s leading derivatives experts, Paul Wilmott, who holds a doctorate in applied mathematics from Oxford University, $1.2 quadrillion is the so-called notional value of the worldwide derivatives market. In contrast the World’s Gross Domestic Product was $71.8 trillion in 2012. Whatever the actual figure, it is clear it has got out of control and that the financial economy is overwhelming the real economy. Moreover the growth of OTC (Over the Counter) derivatives continues unabated. So what about the Australian banks exposure to derivatives? The graph above shows the growth of derivatives since 1998. The graph below shows how large the notional value of derivatives is in relation to assets or deposits. The third graph shows how the Global Financial Crisis scarcely made any difference to the vertical trend. 2.9 In addition to a rapid rise in derivatives, the worldwide housing bubbles have continued, mostly in the big cities, even though there was a dip in some countries during the Global Financial Crisis. The housing bubble is no different. The series of charts by Jesse Colombo showing the housing bubbles continue unabated in a wide range of countries. We now have worldwide asset bubbles in derivatives, housing and commodities happening at the same time. The public knows there is huge risk. The World Economic Forum now has regular conferences to address global risks, and produces a report each year. One risk was “systemic financial failure” and one of the graphs on their site showed that of all their listed risks, systemic financial failure has the biggest impact if it were to occur. It was connected on their charts with items like global governance failure and food shortage crises. 3.0 The way the money system as structured now is inherently unstable. 3.1 The very money system we all use insists that total debt increase. When money is created as interest bearing debt as it is, the total supply has to keep on increasing and that inevitably means more loans. The amount of money in the system is never at any time sufficient to pay off all the debt owing along with interest. Even though money circulates many times, at any one point there is only so much in the total system. There is always someone who can’t pay their interest so they have to go back to the bank for another loan, so the money supply has to keep increasing. In this system, which we have come to accept as normal, the alternative to economic growth is unfortunately collapse, not stability. 3.2 While we appreciate the Reserve Bank has been bold in their experiment of limiting loans by imposing new Loan to Value Ratios in response to the Auckland housing boom, it doesn’t address the fundamental problem that the government allows private banks to create 98% of the country’s money supply as interest bearing debt, and this means that total money supply will have to go on increasing. It is a fundamentally unstable system made worse by derivatives. The unwanted side effects of restrictions on loan to value ratios (LVR) are minor in comparison with the bigger problem. 4.0 This petition originated when we heard about Open Bank Resolution 4.1 In early February this year I received a letter from the Hon Bill English, Minister of Finance in reply to my letter asking him if they would consider implementing the Chicago Plan Revisited, published by two IMF economists on their site in 2012. This plan would eliminate the risk of bank runs and monetary crisis. Mr English’s letter assured me it wouldn’t be necessary as the Reserve Bank was putting in place a new scheme for dealing with banks in trouble. It was the Open Bank Resolution scheme. 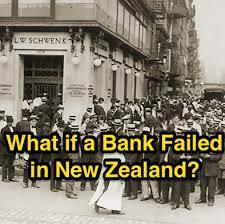 But when we examined this on the website of the Reserve Bank of New Zealand, we found it rather alarming. 4.2 We had never heard of Open Bank Resolution in the media and it seemed to us to be rather important. Nobody wants to wake up in the morning to find their bank had failed overnight and find their account had been reduced (or a certain unknown fraction of it frozen). Admittedly it is one step better than having banks close for 12 days but it shouldn’t be necessary. 4.3. In the light of their inadequacy at telling the public that their bank accounts were at risk and the money in the bank actually legally belongs to the bank, it does call into doubt the willingness and/or ability of the Reserve Bank of New Zealand to keep the public properly informed. 4.4. When we enquired of the Reserve Bank why we weren’t told, we were informed there had been publicity – they had put it on their website. We consider this to be either a fundamental mistake made by their communications department or a deliberate error in order to keep people in the dark. It doesn’t look good either way. Putting something on a website does not alert the ordinary people. We consider they need to ‘up their game’ if they were genuinely trying to inform the public. 4.5. Because the Open Bank Resolution didn’t get passed in Parliament, there has been no opportunity for scrutiny of the details. Little is known by the ordinary depositor of what risks their banks take or whether or not their banks sell covered bonds. The level of public knowledge is too low, but is increasing. 4.6 Unfortunately, according to the Reserve Bank of New Zealand, Open Bank Resolution did not require a new law, so the public has never been given an opportunity to examine it. Here is one thing that could have been pointed out if a bill had gone to a Select Committee: Open Bank Resolution has a design flaw. Depositors in a failed bank, once it has been through its process in the crisis, will have their deposits guaranteed by the government. This will cause customers of other banks to move their accounts to that bank. 5.0 Why we decided to launch a petition asking for a Parliamentary Enquiry 5.1 Because of a fundamental fault in the design of money, financial crises have been happening for decades. According to IMF data, there were 145 banking crises, 208 monetary crashes and 72 sovereign-debt crises between 1970 and 2010. This represents a total of 425 systemic crises, an average of more than 10 countries getting into trouble each year. So financial crises are not new and they demonstrate that there is a fundamental structural error in the money system. 5.2 After consideration we decided to run a petition and decided that the matter of bank stability was so important that the public should know. A Parliamentary Enquiry would flush out all the facts, draw out all the experts and pool a great deal of knowledge held in many sectors of the community. 5.3. We believe that the public should be informed and a Parliamentary Enquiry would help. The publicity which resulted after the Cyprus events was actually largely due to us alerting journalists and organising a key letter to the Dominion Post at a critical time. The fact that this letter featured at exactly the time of the Cyprus bank closures stimulated thorough coverage in the print media and public radio at the time. Then the politicians publicised it still further with announcements about policy. However we believe only a tiny fraction of the public still knows that their bank account is at risk. 5.4. It has been argued that the big four Australian banks are safe. But business is now hyperconnected. An analysis of the relationships between 43,000 transnational corporations of the world has identified a relatively small group of companies, mainly banks, with disproportionate power over the global economy. When the team further untangled the web of ownership, it found much of it tracked back to a "super-entity" of 147 even more tightly knit companies - all of their ownership was held by other members of the super-entity - that controlled 40 per cent of the total wealth in the network. So is New Zealand not part of a global system or did a little country in the South Pacific somehow get left out of this network? We have been told that the big four banks are relatively safe, but taking just ANZ alone, we find that HSBC Custody Nominees owns 17%, JP Morgan Nominees owns 14.15% and Citicorp Nominees has 3.8%. The other three Australian banks have similar shareholder structures. 5.5 Even though we don’t see it practicable or realistic to implement, and we see its limitations and risks, the Chicago Plan Revisited should be examined seriously. This proposal, based on the work of Irving Fisher, Henry Simons, Milton Friedman and others in 1936, was written by two IMF economists Michael Kumhof and Jaromir Benes. Kumhof was a Barclays Bank manager for five years. His most recent slideshow describing the plan is here. The scheme involves the government creating sufficient indestructible reserve money to provide 100% backing for all deposits. There are several further steps which are outlined in this summary, but the consequences are that money creation no longer requires debt creation and the quantity of money is controlled by the central bank, not by private banks. Private banks become true intermediaries. The scheme also reduces or eliminates public debt and dramatically reduces private debt. 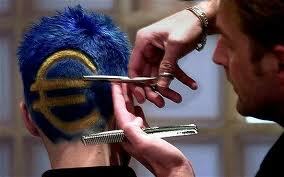 However here is why we believe it not to be practical. As it just replaces a privately created monopoly currency with a publicly created monopoly currency it is not as resilient as an ecosystem of currencies. Nor does it prevent monetary crashes. It also involves huge risk and is pragmatically impossible to implement, given the relative power of the big banks in the US. One of the contributions that Michael Kumhof has made to the debate is that as a former bank manager he said he knows that he created the loan and then the deposit – in that order. He also says that the main function of banks is to create money. A transcript of a talk where he said that is here. 6.0 Who the enquiry might attract This will widen your pool of advisors. Thanks to the benefits of the internet, there are a huge number of people now following the troubled hyperconnected global financial system and there is a great deal of knowledge that you as a Finance and Expenditure Committee probably don’t yet know about. This enquiry would bring out a range of people including financial traders, home based researchers, people who administer public payrolls who are concerned about the implications of Open Bank Resolution. It would bring out brokers, investment advisors, farmers, bankers, fund managers, real estate analysts, academics in fields other than economics, accountants, investors, market analysts and public interest organisations. 7.1	The whole field of Australian banks' exposure to derivatives needs to be investigated and understood. 7.2	Why are banks making record profits even though interest rates are so low? 7.3	How many mortgages of New Zealanders have been securitised, and packaged up and sold to pension funds and other investors and what effect this would have on the New Zealand mortgage holder in a banking crisis. 7.4	The upgrading and improving of communications coming out of the Reserve Bank. 7.5	Review the applicability of the observations made in the Chicago Plan Revisited. The scheme involves government creating sufficient indestructible reserve money to provide 100% backing for all deposits. There are several further steps which are outlined but the consequences are that money creation no longer requires debt creation and the quantity of money is controlled by the central bank, not by private banks. This is exactly the outcome required. 7.7	Is there a lesson to be learnt from history that tells us we must connect fiscal policy with monetary policy? e.g. the successful Rentenmark currency in Germany in 1923 may have been successful because it was the nearest in history of the ideal of combining a full land rental with money spent into existence by a publicly owned agency. 7.8	Are there any other successful models in history other than creating one national currency by banks as interest bearing debt? 7.9	Has the financialisation of the economy since the delinking from the gold in 1971 had in it the seeds of its own destruction? 7.10	What should the role of banks be – creating the country’s money supply or mediation between depositor and borrower? 7.11	Are there other models for protecting savings? e.g. the reinvention of mutual savings funds. 7.12	Should banks be involved in insurance and investment at all? 7.13	Should the national currency be issued by an arms-length agency of government and backed by land, now that it is no longer possible to back it with gold? 7.14	Are there cases in history like the German Rentenmark which in effect combined a land backed currency with a land tax, resulting in stability? 8.0 What the Enquiry might turn up 8.1. A range of suggestions from those who believe the Reserve Bank should create the country’s money with no interest. This will include the suggestions of the Chicago Plan Revisited, Democrats for Social Credit, Positive Money and other monetary reformers who argue for replacing a bank created money by government created money. 8.2. A range of information about how governments in history dealt with financial crises or when banks tend to have too much power over politicians. These might include:- a. When Lloyd George suddenly found he had to go to war in 1914 and within a matter of days the Treasury had created Bradbury Pounds, which were good for payment of tax and could fund the war. b. When Abraham Lincoln, faced in 1861 with the option of borrowing from banks at usurious interest rates, decided to create Greenbacks without interest to fight the civil war. c. When President John F Kennedy, five months before he was shot, issued $4,292,893,825 of cash money; free of debt and free of interest. It was a sufficient amount to allow the nation to operate without the private Federal Reserve. On June 4, 1963, Kennedy signed Executive Order 11110, which authorized the US Treasury to issue a new form of silver certificate. 8.3. A range of information about how governments dealt with financial crises eg. From 1999 there was a surge of complementary currencies in Argentina becauses the country was deep in recession and had high inflation. Wikipedia says “While the provinces had always issued complementary currency in the form of bonds and drafts to manage shortages of cash, the scale of such borrowing reached unprecedented levels during this period. This led to their being called "quasi-currencies". The strongest of them was Buenos Aires's Patacón. The national government issued its own quasi-currency—the LECOP.” They brought back their own peso. What happened in 1923 in Germany at the peak of their hyperinflation crisis and how the Rentenmark solved the problem within days. When Germany had no gold to back the currency after the first world war, and inflation had grown till there was massive hyperinflation, poverty and social chaos, they issued a new land backed currency and imposed a twice yearly payment for the use of that land. The nation quickly went from a state of chaos and misery to stability. Descriptions of what happened included the term “the miracle of the Rentenmark”. So this successful system effectively combined a land backed currency with what amounted to a regular land fee. One author said “The Rentenmark experiment marks one of the most extraordinary monetary experiments of all time, yet most historians of the episode seem to have misunderstood the mechanism and its role to the stabilization.” My own account of what happened and how its success could be explained is here. Although they issued the money as mortgages, for the first year of its existence it seemed as though the mortgage payment was a full land rental. I am of the opinion that it is important to look at bank stability in conjunction with fiscal policy. It is unrealistic, for instance to expect monetary policy to deal to the escalation of Auckland house prices while the tax system favours land owners and there is no charge on the holding of land. Restrictions on LVR can never therefore work by itself, nor can more house building. 8.4. A range of information about how countries in depression or financial crises allow the issuing of local currencies e.g. Greece’s TEM. The Austrian town called Wørgl in 1932 issued work certificates, good for paying local taxes and designed with a circulation incentive. They paid their workers in it. When unemployment dropped dramatically it became known as the miracle of Wørgl and people came from all over Europe to see it. 8.5. The need for Parliament to legislate to support and not stand in the way of new well designed currencies at any level. Complementary currencies have been springing up all over the world. New Zealand’s timebanks now number 27 for instance. Numerous books have been written on the topic, including authors like Bernard Lietaer, Stephen Belgin, Thomas Greco, Margrit Kennedy, and myself. The list of 180 books and DVDs sold by the LIving Economies Educational Trust is comprehensive. An international skype chat group on the topic has been going for seven years and has reached 200 participants and a google search on complementary currencies turns up over 1 million results nowadays. They can be local or national, private or public and have a variety of designs and purposes. An education currency can make the budget go further, a health currency can make the health budget go further. A currency for small businesses can stimulate job growth. A currency can also solve problems as when rubbish piled in narrow streets in Curitiba, Brazil. Tokens were given to those who produced sorted rubbish and were accepted on buses. In Lyttelton during the earthquakes the timebank was there to help before the Civil Defence, Red Cross and other agencies got organised. Other purposes for complementary currencies are helping deal with aged care, encourage customer loyalty e.g. airmiles and flybuys, buiding community, mitigating unemployment and other social problems and encouraging volunteering. On November 3rd 2012 in Christchurch the Volunteer Army Foundation, led by Sam Johnson, Jason Pemberton and Raf Manji , organised a one day Concert, featuring 24 bands, for volunteers only. The only way to get a ticket was to do at least 4 hours of volunteering. Nearly 50,000 hours of time was donated with hundreds of community projects completed. Volunteer hours are now becoming an important part of a student's transcript, alongside traditional academic information. As long as complementary currencies are not producing inflation, they should be welcomed by the Reserve Bank of New Zealand. During a period of high unemployment the Internal Affairs Department encouraged green dollar exchanges which flourished in the early 90s. 8.6. The need for universities to reintroduce courses on economic history. Submission of Deirdre Kent in support of petition 2011_78 to Parliament This submission is substantial. It outlines why banks are unstable, includes charts on banks assets compared with their exposure to derivatives and on housing bubbles. In a hyperconnected world New Zealand's four Australian owned banks are not going to be immune to shocks. Now instead of taxpayer bailouts, it seems depositors will bailout the banks. The Reserve Bank has in place a system called Open Bank Resolution. We would rather the banks were stable in the first place.